From Funko. Perfect for fans of disney princesses! 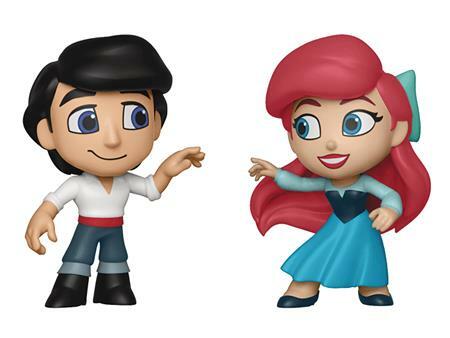 Celebrate the romance of Disney with a mystery mini Beast and Belle from Beauty and the Beast two-pack, a mystery mini Eric and Ariel from The Little Mermaid two-pack, a mystery mini Rapunzel and Flynn from Tangled and a mystery mini Tiana and Naveen from The Princess and the Frog two-pack! Each 2-pack comes in a special box with a heart-shaped window!